It can be useful to show your ticket buyers how many tickets are left before the tickets are sold out. 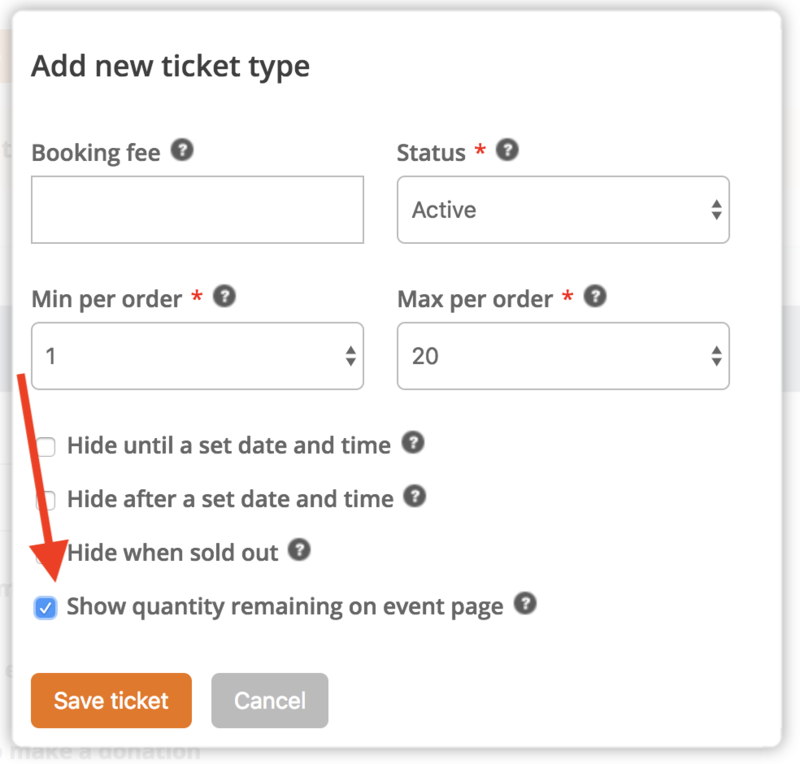 To set this up, click through to your event from the Admin panel and click Edit event and tickets. Add a new ticket type, or or edit an existing one from Tickets area of this form. Click Advanced settings option to reveal some extra configuration options and scroll down to see a checkbox labelled Show quantity remaining on event page. Tick this box and click Save ticket. The quantity remaining will now be displayed for this ticket type on checkout shown below.